Belgium vs Algeria is the first game up. Three more matches today including Brazil's second group game. Russia and South Korea shared the points following a 1-1 draw in Cuiaba. After a disappointing first-half, things picked up after the break with two goals in the space of six minutes midway through the second half. Russia coach Fabio Capello will take some credit for his substitutions, including striker Alexander Kerzhakov, who scored his team’s equaliser. But it could also easily be argued that Capello had picked the wrong team in the first place, with Russia’s most creative player, Alan Dzagoev, left on the bench and only introduced with 20 minutes remaining. Suddenly, this game has sprung to life. The Russian substitute Alexander Kerzhakov pounced on a loose ball in the six-yard box to equalise. South Korea take the lead thanks to a goalkeeping howler from Igor Akinfeev who lets a shot from substitute Lee through his hands. Fabio Capello, who watched England keeper Robert Green make a similar mistake four years ago in South Africa, must be wondering why his goalkeepers have such bad luck. A slow-burner this one. Both teams have had long-range efforts on goal but neither side has been opened up. Korea grew in confidence and were the better side by the break. But still not breakthrough. The teams have been announced for the final game of the day. 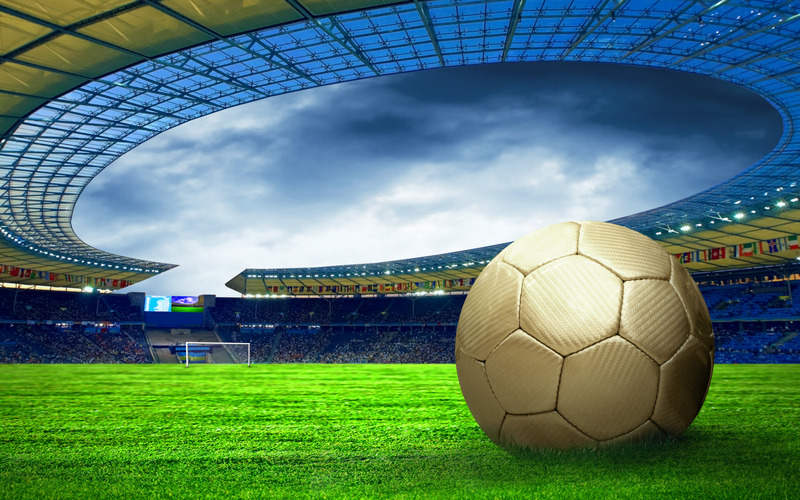 Despite the match finishing goalless it was a match of some drama and a fair amount of excitement, especially towards the end when both sides were pressing for a winner. 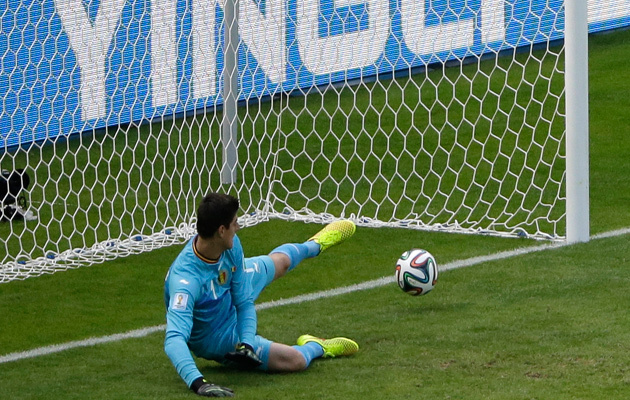 Mexico defended admirably and goalkeeper Ochoa, the game’s outstanding performer, pulled off several wonderful saves. 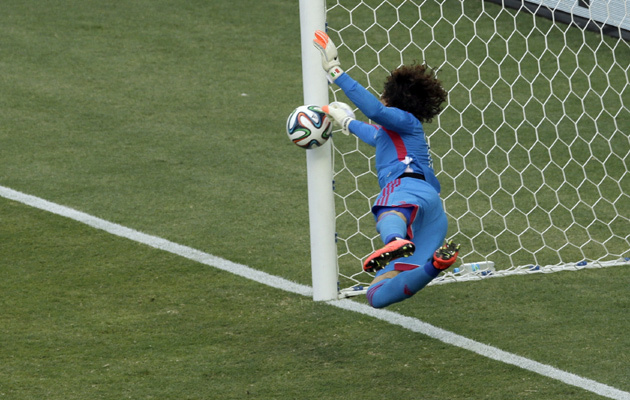 Considering how little Brazil have created in this match, it is astonishing how many good saves Ochoa has made. The latest is from a point blank header from Thiago Silva which the keeper sticks a somehow deflects to safety. Fred has been put out of his misery, replaced by Jo and the change seems to have galvanised Brazil. Neymar, as always looks the man most likely to break the deadlock and he almost does that when he volleys from close range but his effort is blocked by Ochoa’s midriff. Better from Brazil, though, and the crowd at last starts to get behind them. Neymar chips a free-kick into the area on to the chest of Thiago Silva and ball drops to the feet of David Luiz, but his effort is blocked by Guillermo Ochoa. He’s not renowned for his prowess in the air Neymar, but he rises above his marker to greet a Dani Alves cross, only for Guillermo Ochoa to make a one-handed save at full stretch. Best chance of a scrappy game which is stubbornly refusing to come to life. Brazil make one change from their opening win over Croatia as Ramires replaces the injured Hulk. Brazil: Julio Cesar, Dani Alves, Thiago Silva, Luiz, Marcelo, Paulinho, Gustavo, Ramires, Oscar, Neymar, Fred. Mexico: Ochoa, Aguilar, Rodriguez, Marquez, Moreno, Layun, Herrera, Vazquez, Guardado, Giovani, Peralta. Belgium break and for once they have numbers over, one of whom is Mertens who collects a perfectly timed pass from Eden Hazard and lashes the ball into the roof of the net. Dramatic turnaround in Belo Horizonte. Have Algeria got anything left? It looks unlikely. 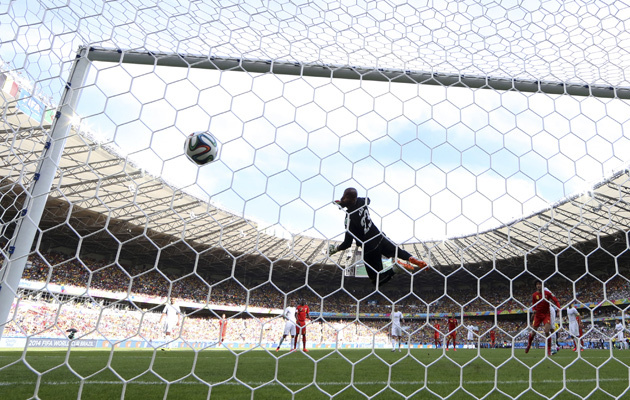 The view from behind the goal as Marouane Fellaini equalises for Belgium. The more direct approach pays off almost immediately. Kevin De Bruyne swings in a cross from the left and substitute Fellaini rises above his marker to head the ball into the roof of the net. Huge relief for Belgium. Wilmots made two changes Dries Mertens for Nacer Chadli and Divock Origi for Romelu Lukaku, but the pattern remained the same, so it’s time for Plan B: Marouane Fellaini comes on for Moussa Dembele. Expect to see a more direct approach from Belgium now, and an increase in the free-kick count. Highly fancied Belgium have been sluggish in that opening half. Their task has not been made easier by the resilience of an impressively organised Algeria team, who have repelled their opponents with aplomb. Wilmots has options on the bench which he will be tempted to deploy, because the patient approach is clearly not working. If you’d read our handy tactical guide to this game you’d have learned that Belgium’s big weakness is at full-back, where they are forced to play centre-backs out of position. Vertonghen, a central defender by trade, was certainly badly positioned when Feghouli got the wrong side of him. Feghouli, the man brought down for the penalty, picks himself up and send Belgium keeper Thibaut Courtois the wrong way. Belgium defender Jan Vertonghen is caught out of position and brings down Sofiane Feghouli to give Algeria a penalty. Kick off is approaching in Belo Horizonte and the teams have been announced. 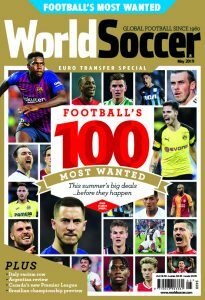 Belgium’s Romelu Lukaku was a concern after he picked up an injury in their last pre-World Cup friendly, but the striker starts. The other worry for coach Marc Wilmots was Kevin De Bruyne, but he too is fit to start. Algeria’s main concern is over midfielder Hassan Yedba, another player with an ankle injury. For Algeria, central midfielder Hassan Yedba misses out through injury, but otherwise, coach Vahid Halilhodzic has a fully-fit squad to choose from. Belgium: Courtois, Alderweireld, Kompany (c), Vertonghen, Witsel, De Bruyne, Lukaku, Hazard, Van Buyten, Dembele, Chadli. Algeria: Mbolhi, Bougherra (c), Ghoulam, Halliche, Feghouli, Medjani, Bentaleb, Soudani, Taider, Mahrez, Mostefa. It seems like only yesterday that Brazil were kicking off the 2014 World Cup. Yet already, Luiz Felipe Scolari’s side are about to play their second Group A game – this time against Mexico, who like the hosts, began their campaign with a win. Whoever wins here will be almost certainly be guaranteed a place in the knock out stages. Here are our thoughts on today’s encounter. some more stunning images coming out of Brazil. Here we look back on the last 24 hours. Today’s first game sees Belgium make their eagerly awaited entrance at Brazil 2014. It’s the first time they’ve reached the finals since 2002, but a golden generation of players has emerged in recent years and they are tipped by some as potential winners of the tournament. Marc Wilmots’ side open their campaign against Algeria. You can read our tactical guide to today’s match here. Following the success of Paul the Octopus four yeas ago, a number of candidates are vying for the clairvoyant’s crown in Brazil. One such, Cabecao, a turtle in the Brazilian village of Praia do Forte, has been attracting attention after he correctly predicted the result of Brazil’s opening match against Croatia. For the hosts second game, Cabecao has horrified by locals by predicting a win for Mexico. Hard though it is to believe, today sees the start of the second round of Group matches. After kicking off the tournament with a slightly fortunate 3-1 win over Croatia, Brazil continue their campaign with a potential banana skin against Mexico. Sandwiched either side of that game are Group H’s opening ties featuring Belgium against Algeria in Belo Horizonte, while in Cuiaba, Russia meet South Korea.